Editor’s Note: Teaching self-control, or the ability to delay gratification, says Columbia psychologist Walter Mischel, author of “The Marshmallow Test,” has enormous philosophical and policy implications, not the least of which is teaching kids how to save. If more of us saved, presumably, fewer of us would fall behind economically. 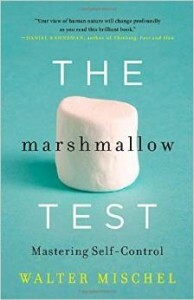 This very premise, though, stems from what Mischel finds often overlooked about his work: first, that self-control can be inculcated over time (i.e., you’re not doomed if you failed the marshmallow test on the first try), and second, that self-control has strong protective effects, which he’ll explain in his conversation with Paul below. WM: I think what is really very important to make clear is that for people who have serious problems, the protective effects of having self-control skills are very important. For example, in the Bronx studies, we found that kids who are 11 and 12 and have great difficulty controlling their anger and rage when they’re being teased, which regularly happens in that kind of school environment, are greatly protected against it if they’re able to delay gratification on a teenage version of the marshmallow test, which involves a small number of m&m’s that you can have right away or a larger amount that you have later. The kids that had the disposition of vulnerability – that is, very easily drawn to anger and aggression when they felt rejected or excluded – the negative effects of having that sensitivity did not play out if they were able to delay gratification. So, in other words, it did not affect their behavior; the disposition didn’t change – they still were easily upset by rejection, by exclusion, but they didn’t act it out. PS: And the conclusion you draw from that? WM: The conclusion I draw from that is that having good self-control skills allows us to live better with our disposition of vulnerability. PS: And so then the key is to develop those self-control skills through whatever if/then techniques or whatever other techniques you can come up with. WM: And I think the beginning of it is actually to teach young children the fundamental mechanics of self-control that allow it to be demystified and to become much less effortful. PS: At a social, institutional level, in the educational system, for example, is there any hope that we are going to effectively intervene with the kids whose problems, when left unattended, more likely than not will cause them to fall behind – I’m specifically thinking economically? Is there any hope? WM: Yeah, I think there’s an enormous opportunity here, and it’s an opportunity that from my point of view is being illustrated beautifully in some of the KIPP schools – the Knowledge is Power Program. I’ve gotten to know Dave Levin, the founder who runs this program, and who tells me that by the end of this year, there are going to be 150,000 kids in KIPP schools around the country. They really are using the findings from my research and from other research in a very effective and interesting way. So I think just the recognition that there is a clear relationship between what we do and what we get is a fundamental thing that needs to be taught. The reduction of stress levels is absolutely crucial for people not to be in elevated hot systems that make learning and attention impossible. So yeah, I think there are huge a number of things that can be done. PS: But you think that’s actually underway now? WM: Oh yeah, I can take you into classrooms where it’s at work. You’ll see a cooling chair or a thinking chair in the corner so it’s not at all like the old days where you stood in the dummy corner. 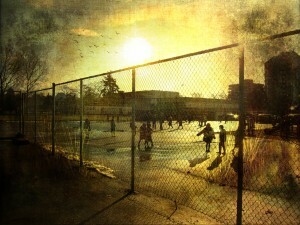 And children are encouraged, when they feel they’re about to lose it, to go there. They have little pictures of anger floating away in balloons and so on. It is happening. I’m on their advisory board. Of course, Ramirez was lucky in another sense in that he had parents who put him into the lottery. So it’s already a pre-selected group that goes to charter schools; you’re selecting, in a way, the cream of the crop. PS: And I guess that’s really the question. How broadly applied is this going to be? Kids have lower genetic faculties for delaying gratification and their environments exacerbate that problem. Now you follow them versus people who can delay gratification through time, and we see substantial differences in economic outcomes 30 years later. So my question is, how optimistic are you with respect to changing that equation, so that inequality is not exacerbated by the differential ability to delay or not delay gratification? WM: I’m actually hugely optimistic about it, but I think it requires an incredible effort that has to begin at the pre-school level, ideally, with programs that are well-informed by what’s been learned about executive function and how to enhance it. There are two studies in the book that speak to this. One is a study by the University of British Columbia’s Adele Diamond, reported in Science Magazine, which uses a “tools of the mind” program, essentially a fancy word for a program in which kids are taught self-control strategies. It was a smashing success within high-poverty-area schools that she studied. The other study is from cognitive scientist Michael Posner. He worked with pre-schoolers with the DAT1 gene and those without it, who were substantially helped by very simple computer games that taught them executive function. In the game, there was a cat on a little island, and the water was encroaching, and their job was to keep the cat nice and dry by moving the joystick. Another exercise is it’s pouring rain and you have to keep the cat dry by keeping an umbrella over the cat (with the joystick) as the cat is running around. These exercises even increased IQ points. So I think there’s a huge amount of evidence for the optimists if one can harness these kinds of findings and incorporate them into programs, and get the stress levels low. Now, it’s very hard to do anything with kids when they’re starving or when they’re coming from homes in which they’re being abused or walking through dangerous streets, so I’m not suggesting every kid is going to get saved. But I am suggesting that there are a lot of George Ramirez’s in the world. He’s successfully studying at Yale and his long-term economic outlook is a hell of a lot better, according to him already, than it would have been had he been just hanging around in the streets if KIPP hadn’t found him. Left: Having self-control, says Walter Mischel, carries strong protective effects. But those self-control skills can be taught. Photo by Flickr user Nick Kenrick.